The definition of little luxuries may differ depending on who you ask. 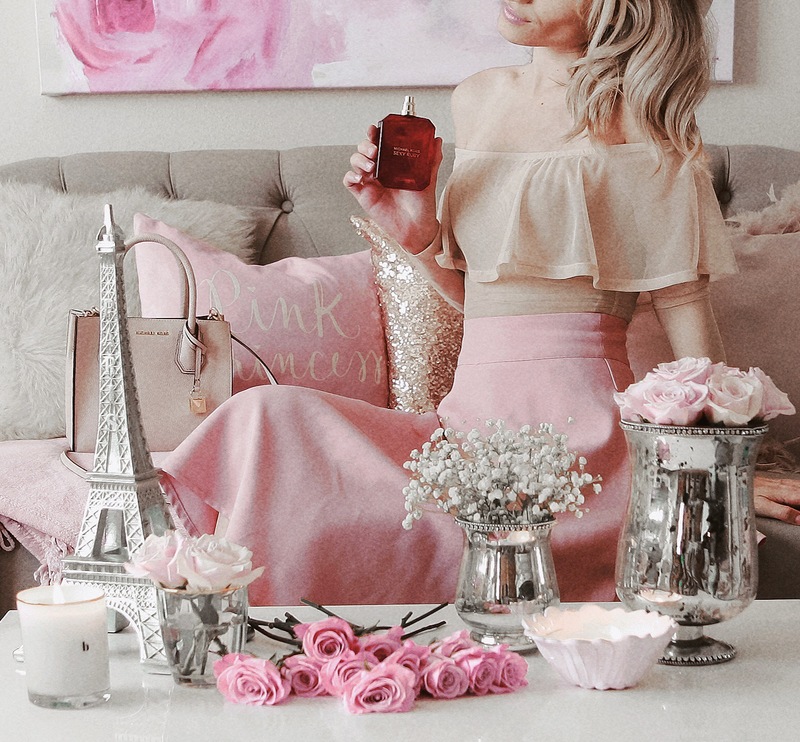 To me little luxuries are beautifully scented candles, perfumes, beauty items, lovely blooms and just about any little thing that makes my heart light up by its embrace. Indulging in such little luxuries and embracing baby cuddles is what my March & April have mostly consisted of. Ever since I first got my hands on this magical tool I have found that I just can’t live with out it. I then saw the pearl edition and knew this was the one I just had to have. It’s beautiful & classic and performs like a pro when it comes to getting my foundation to look in tip top shape. Tocca makes such beautiful products that they are absolutely Couture essentials. Their candles are so swoon worthy that I seriously have the hardest time bringing my self to lighting them. They’re just that beautiful! My favorite most of all, are their perfumes. The Giulietta scent is one that as of right now I can’t go a day without spraying. It gives me life! I’ve also recently discovered their laundry detergent and have been using to solely on my sheets. Let’s just say it’s totally lovely. Speaking of bedding, I recently picked up some Peachskin sheets and my loves, these are total essentials! There’s no need to use fabric softener with them and in fact they discourage you from doing so. After multiple washes some how these sheets remain so Incredibly luxurious and soft, just like peachskin! I picked them up in white because I just love the versatility of that color. These beauties make the essential list EVERY TIME. whether I’m going strapless or not, they work wonders for cleavage unlike any other bra. They differ from other bras because they allow me to adjust my cleavage by bringing the cups closer together. This isn’t your typical case of adjusting the shoulder straps to bring the cleavage go higher, you actually adjust straps inside the bra to adjust the cups. Totally life-changing and a must-have! I think Fashiondrug may have been a pretty well known secret but I only recently stumbled upon their beautiful assortment of handbags and all I can say is thank goodness I did! I picked up two of their jumbo leather handbags that look and feel very similar to Chanel ones. Right now, I don’t have a better picture for you of the black and gold one I got, yet, but it truly blows me away. The quality for the price is stunning! Total new obsession for sure. I’ve been pretty excited for many months now for the launch of my brand, Couture Chérie and these are just some of the goodies that you’ll find available! The opening keeps getting pushed back because I’m currently juggling quite a bit and I want to really give Couture Chérie’s launch 100%! When I have a concrete date I will most definitely make it known. Until then I’ll continue sharing the little details of all that’s to come. I don’t think there’s ever been a time in my life when I haven’t been captivated by tweed. 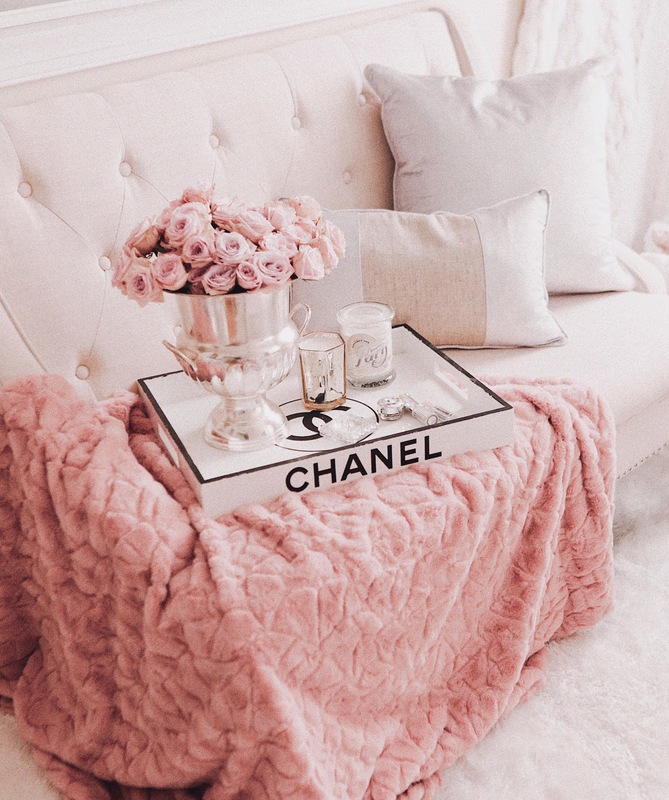 Chanel has been a love of mine since I was a little girl and I have always found myself to be inspired by both the brand and the woman behind the brand that inspired it all. So naturally, when I stumble upon a lovely tweed jacket paying homage to the original or any tweed piece really, my eyes can’t look away & my heart fills with excitement to put it on. And lately there’s been so much tweed all around! I found plenty of cute pieces by Sheinside.com just like the jacket and dress showing below. P.S. March was my birthday month! A birthday is truly a wonderful way to welcome in Spring. One of my favorite shops that I think of as a total gem is Boutique 1861. They’re a darling little French Boutique based out of Montreal and fortunately for me, they ship all over. A lot of the floor length dresses that you’ll see me share on Instagram are by them. They also have a lovely line up of tops, skirts, shoes, even pearl accessories, candles and more! I just love it all, really. These have been just some of the things that I’ve been loving lately and that I also deem as my couture essentials. Happy spring loves! I promote my passion for all things lovely and my mission for finding a way to make my days just a little bit prettier. Shop my very own Couture Collection, Chérie Couture coming soon. ♡ For more JLC follow @jadorelexiecouture.